Our pastor has been preaching on the book of Exodus for quite a while. It’s been a 13-week message covering many different lessons learned through the story of the Israelites. Ahem, hello. Hi, yes me too. Not a good speaker. That’s me. I relate to the fact that Moses didn’t consider himself good enough for the job God was calling him to do. God doesn’t care about our “buts”. 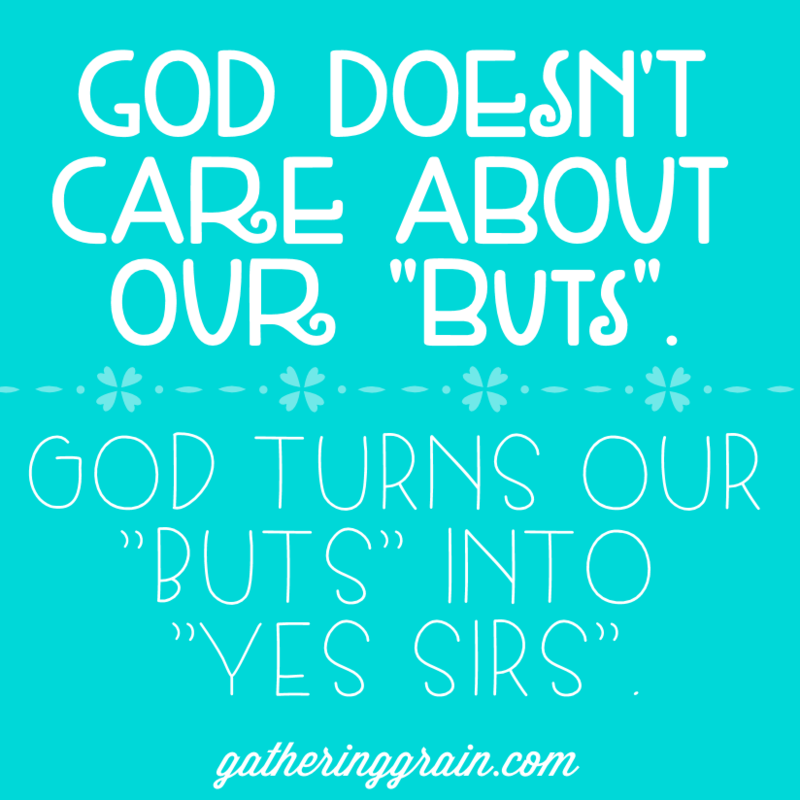 God turns our “buts” into “yes sirs”. He takes our discouragements and turns them into courage. He told Moses that He would be there the whole way, even giving him help from his brother, Aaron. I can also relate to the Israelites. They worried constantly, didn’t they? Will there be enough food? Can we trust that we’ll find our way? Even though God has done miracles for us before, can He really do more? At the end of our pastor’s sermon series, the big question of why was answered. Why did the Israelites go through all they went through? Why did God choose a people that would rebel and continuously lead them back to Himself even though they worshiped other gods? I couldn’t help but think it was a simple answer. But it’s the answer to anything and everything that God does. And the answer why we should do everything that we do. When we live our lives like Christ. When we stop feeling inadequate, as if God can’t use us. When we stop our worry and simply trust. When we leave Egypt and the wilderness in the dust. Only then can we enter our Promised Land where our exodus will finally end. These are our Glory Days. This is where we live to glorify God. 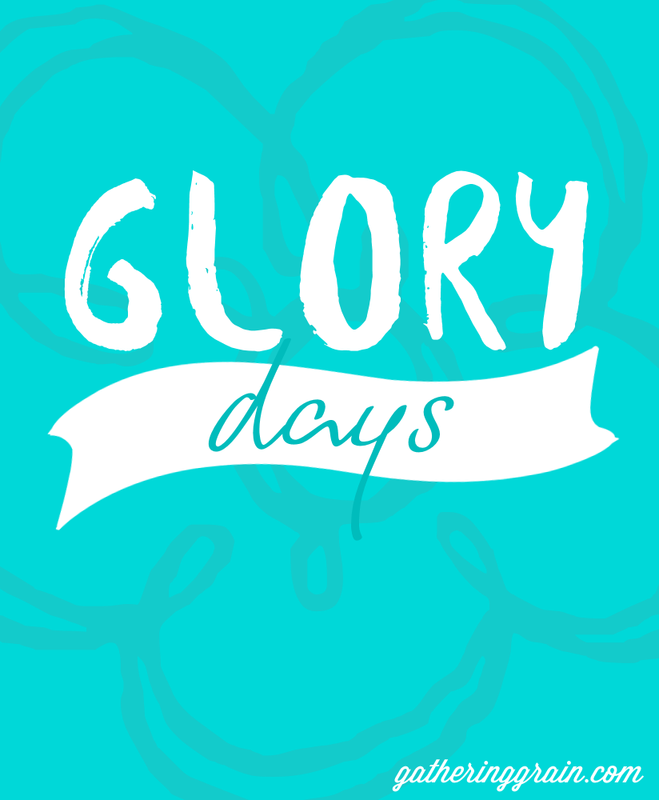 Glory Days is full of subject matter for the very things that I mentioned above. If you find yourself as a wandering, worrying Israelite, you will find encouragement among the pages of this book. Ever studied the book of Joshua before? No worries if you haven’t. Just read this book! 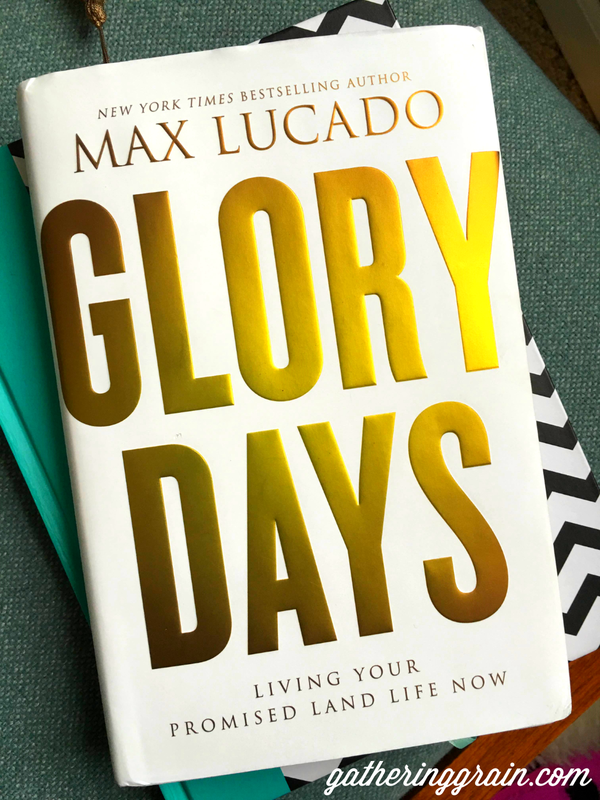 Max Lucado breaks down the many stories of Joshua and the leading of his people with God’s help. My favorite chapter of this one is Chapter 13- You Be You. The entire book is jam-packed with wisdom. It’s all about learning to live out our inheritance! This giveaway will end on October 12th, at 11:59pm CT. I will contact the winner and they will have 24 hours to respond. If I have not heard from them, I will name a new winner. This book was provided for review purposes by Family Christian. All opinions expressed are 100% my own.